View More In Gun Sights - Page 3. 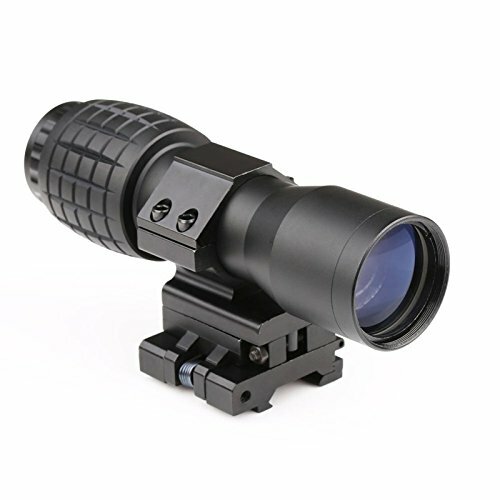 This 5X magnifier gives you more clear and accurate sight, a very good tool to increase field performances. The specially designed flip to side tactical mount provides very quick and easy switching sights between magnifying and non-magnifying. A powerful tool to your hunting/target practice and airsoft. This 5X magnifier can also be used as a handy portable monocular. If you have any questions about this product by Briday, contact us by completing and submitting the form below. If you are looking for a specif part number, please include it with your message.